It’s YUK FUN competition time! We’ve put together a mixtape for the world to enjoy, available to listen to below. There are two sides to the tape, just like in the olden days. Side A is YUK and side B is FUN – all you’ve got to do is guess which member of YUK FUN made which side. To enter the competition, share the facebook post about the mix and like our page and send us your answer – “YUK is by … and FUN is by…” the answer is either Patrick or Lucy. You can also enter the competition via instagram by liking, commenting and following. 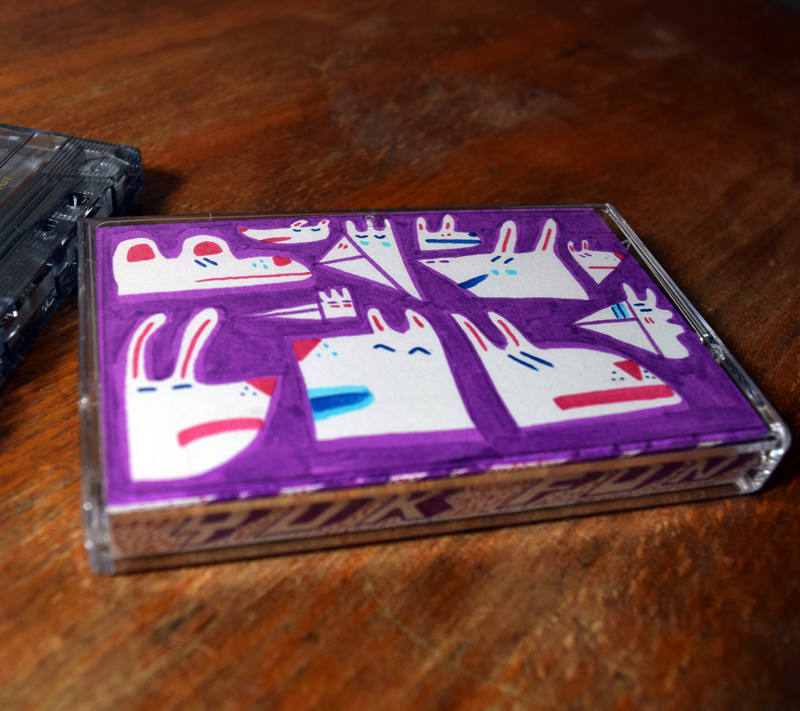 The lucky winner will receive the tape cassette itself, complete with hand-drawn cover! The competition is open worldwide and closes on 27th February 2015, so good luck to you all!